This year some good planning managed to get me an astonishing 7 weeks of vacation. I have to admit it is almost too much of the good thing. I can't remember what it's like going to work so it will be a brutal awakening next Monday. I started looking at the blogs I would like to catch up with today and it seems that there are people that actually work during summer. I started the vacation with a lengthy week of Denmark all on my own. 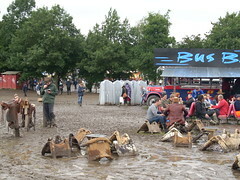 The Roskilde Festival was a bit wet (the entire area drenched in 20 centimeters of mud) but the music was really great. After that I turned to Jutland and a piece of Vesterhavet. 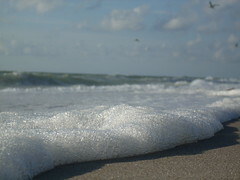 It is really awesome to listen to the roaring of the mighty ocean. Three weeks at home was interrupted by a cruise to Riga with Käthe. Riga still has remains of the Soviet era - the old town is quite similar to Visby. 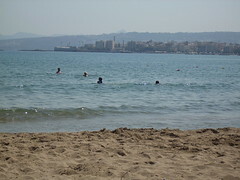 A week in Chania on Crete with almost all our kids became the high mark of the doing nothingness of this vacation. Beaches and good food is not a bad thing at all. Tomatoes are so much better in Greece. Most of the food are. Sometimes it is almost like Italy. And wherever you turn - the food is good. We didn't get bad food even in the most obvious tourist traps. So with this much vacation I will be glad to meet my customer on monday and to arrange yet another low level network evening.